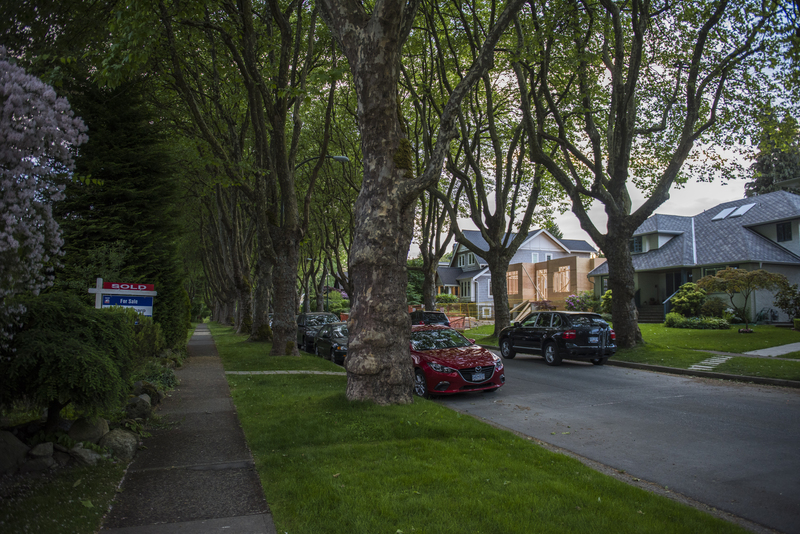 The change has deeply angered the west side of Vancouver, where large detached homes perch on leafy, green lots. Residents have launched petitions, staged protests and erected yard signs claiming the tax is “hurting seniors and working-class families the most!!! !” Home values have skyrocketed in the area, but incomes have not. Those who purchased property many years ago don’t necessarily have extra cash on hand. Around the table, there are multiple objections to the tax. Mainly, the group feels targeted because of their home values. “We don’t think it’s fair that it’s only applied to certain individuals and not others,” Lavin says. “That appears discriminatory.” Lavin bought a duplex in Kitsilano two decades ago for $500,000, and it’s now assessed at just over $2 million. The tax does not apply to her. 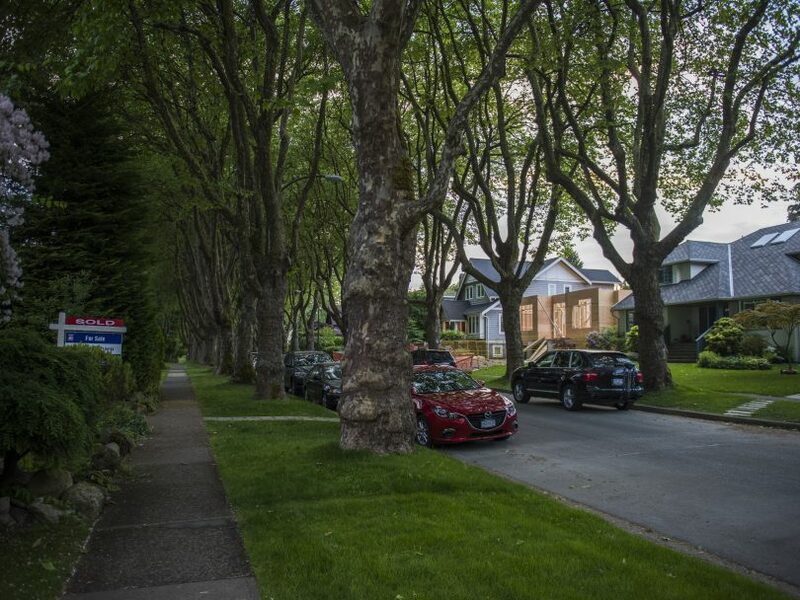 “My concern is that it can be arbitrarily lowered to a $2-million property, which would impact me.” Recently, a UBC professor called for increasing property taxes on homes worth more than $1 million. “Personally, I’m fearful,” says Lavin. The effect of the government’s ﬁxation on housing wealth, they say, is to sow harmful social discord. “When you single out a part of the community, and fuel that discrimination by talking about the haves and the have-nots, it’s not only bad policy, it’s bad for our community,” says Jeff Petter, who works for a medical technology company. “We ﬁnd that is morally repugnant.” (He doesn’t want to say how much his property is worth, but allows it’s “absolutely absurd.”) Baines nods in agreement. “I had dinner with some friends last night, and the person who is renting was attacking the people that were there,” she says. The renter was telling the homeowners to just sell their homes and enjoy the windfall if they were so worried about taxes. “What kind of response is that?” she says. While the issue of housing has long strained the city’s social fabric, it’s now creating discernible tears. Owning a home here costs 85.2 per cent of a typical household’s income, the worst level ever recorded in Canada, according to RBC. Even a condo eats up half a household’s earnings. Everyone seems to feel like a victim: homeowners fretting about taxes, locals priced out and forced to move to suburbs, and those struggling to ﬁnd anywhere to live in a place where the vacancy rate is less than one per cent. There is ﬁerce disagreement over the cause of the crisis—insatiable demand or a lack of supply—and, as a result, no consensus on solutions. On a recent weekday morning, David Williams is giving a walking tour of his block in Dunbar, on the west side of Vancouver. At 64, Williams is retired from a career in ﬁnance, and he walks briskly through the quiet streets describing who bought which house when. His tour is really about how wealth—or hot money, he believes, referring to foreign capital—is transforming his neighbourhood. “The guy across the lane from us, he tore down an old house, built a whopping new house, and he had a Rolls-Royce and a Ferrari in the garage,” he says. The trend for years has been to purchase a home, knock it down and build an even bigger one. The clash of styles—squat, old bungalows next to towering three-storey mansions—bothers him. “Here’s a brand spanking new house, built on spec. I think they listed it for eight,” he says, meaning $8 million. “It’s a f–king ugly house.” It’s rare to walk a block without passing a dumpster ﬁlled with refuse from a home construction project. And then there are the four empty homes on his street. He stops in front of one. “They can’t even pay for a gardening service,” he says, pointing to the long, weedy grass. Williams and his wife purchased a home in Dunbar almost 30 years ago, when it was more of a working-class area. 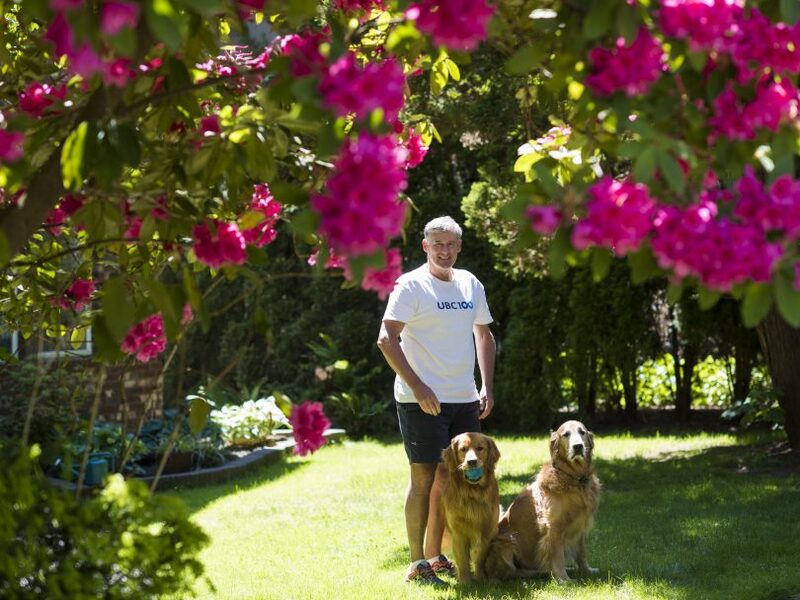 Today, their property is worth $4.4 million, but the neighbourhood feels as though it’s emptying out. “There are fewer families, let’s call it that way,” he says. Halloween once brought upwards of 150 kids to his door. Now he gets maybe 50. A neighbour of his used to collect $25 from every household to purchase ﬁreworks and put on a show once a year. Three years ago, the neighbour returned Williams’s money. Only a few households chipped in, and there hasn’t been a ﬁreworks show since. READ ALSO: David Eby handles every live grenade in B.C. politics. Is he a premier-in-waiting? His fear, shared by many in Vancouver, is that the city will become a playground for a rootless class of nouveaux riches. The perception is that this trend is well under way. A few years ago, a television producer launched Ultra Rich Asian Girls, a reality series following the extravagant lives of four young women in Vancouver. (It lasted only two seasons.) Exotic vehicles are not an uncommon sight on city streets, and last year the province’s public insurer jacked up premiums on high-end vehicles since repair costs are becoming a concern. The Insurance Corp. of B.C. recently spent more than $790,000 on damage claims for a Ferrari that crashed into a utility pole. 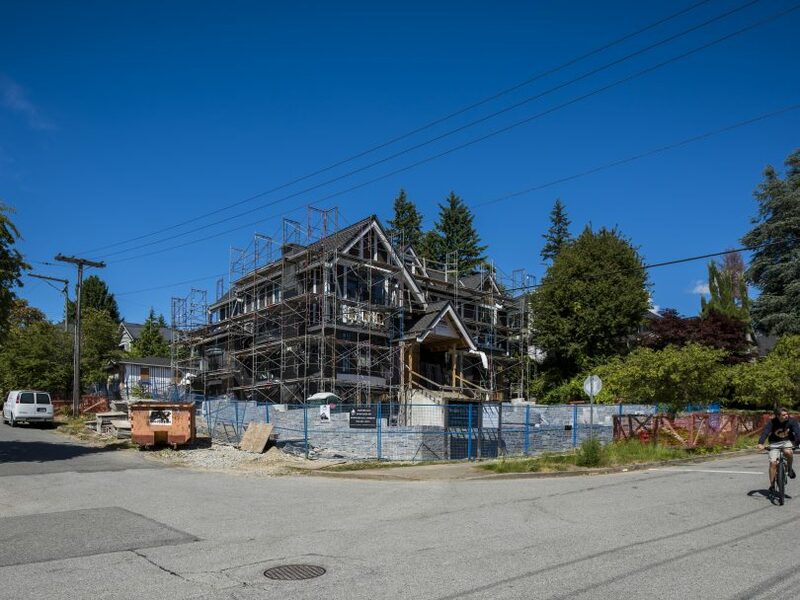 And when a nine-year-old rapper and Instagram personality named Lil Tay went viral recently, she seemed to embody the worst excesses of the Vancouver housing market. In her videos, she crudely belittles viewers for not being as rich as her, poses with Lamborghinis and in high-end condos, all while flashing stacks of cash. Her mom, as it turned out, worked as a Vancouver real estate agent. The province’s tax measures are designed to address the very issues that so aggrieve long-time residents. By making it more expensive to own homes in Vancouver, especially for offshore buyers or those simply wanting to park money, demand will ebb and affordability will improve. Or so the government hopes. Homeowners like Williams are skeptical. Many believe deep-pocketed foreign buyers won’t be dissuaded by additional taxes. They also argue the tax measures don’t exclusively target offshore wealth, but sweep up those with local incomes, too. Gordon at SFU argues the speculation tax in particular will bite, however. 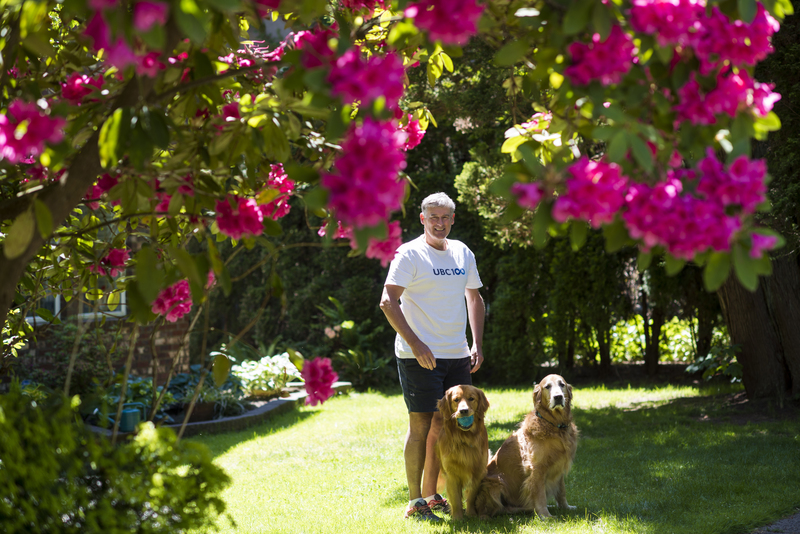 “It’s difﬁcult to dodge, and it’s not a one-time tax.” Owners of homes left vacant for at least six months of the year in Metro Vancouver and a few other jurisdictions are subject to the tax. Foreign owners and so-called satellite families (households that have high foreign incomes but little local earnings) pay two per cent on the value of their properties, while others pay one per cent. Some may opt to sell or rent out their properties. The province has not said how it will deﬁne a satellite family, nor how many households are actually in this situation. But studies have found tens of thousands of wealthy immigrants have arrived in B.C. through programs that offer permanent residency in return for investment. A 2014 federal report of a defunct program found business immigrants declare “considerably lower” personal incomes than those who arrive through some other programs. Supporters of the NDP’s new measures contend they are part of a necessary shift in the province’s approach to taxation. “We had a tax system that told the world to come buy real estate here, but don’t work for a living,” says Tom Davidoff, a professor at UBC. Property taxes are relatively low compared to other cities, creating an incentive to buy real estate, but not earn or accurately declare local wages, avoiding the brunt of income taxes. Davidoff says the NDP’s tax measures ﬁnally start to address this problem, though it’s necessary to tilt the scales even more aggressively by cutting income and sales taxes, and raising property taxes further. Politically, that would be difﬁcult since it places a bigger burden on seniors who have accumulated a lot of housing wealth. Darren and Hannah have seen the same real-estate-fuelled rage, but for different reasons. The young Vancouver couple run a blog called City Duo, which recounts their experiences supporting new housing developments. The pair often attend open houses and council meetings related to residential real estate proposals to support development. Although they’re homeowners, they have friends who have struggled to ﬁnd rentals, still live with their parents or moved away due to the region’s housing crunch. More supply of all kinds, they believe, can help. “We believe it’s important for people to know what’s going on so they can have their say,” Hannah says. But the anti-development vitriol is so intense they use pseudonyms online. People have told them off, screamed at them and come inches from Darren’s face. “There were a couple of times I was concerned I could get hit.” At one open house for a proposed rental building on the west side recently, some attendees demanded city staff throw them out since the couple didn’t live in the neighbourhood. At the same meeting, one man likened the development to a “forced abortion.” The proposal called for 12 units. READ MORE: Why everyone should buy real estate in…Brantford? Bremner is forming a new party to tackle Vancouver’s housing crisis, and development remains a key pillar. “We are not going to tax and ban our way to prosperity,” he says. The city has made progress in allowing laneway homes and basement suites, but Bremner argues that’s not enough. “Families deserve more than raising their children in the basement suite of some 70-year-old house,” he says. With no city-wide development plan, growth happens on a piecemeal basis. If residents had more certainty about how their neighbourhoods will develop, and that the necessary services and amenities will be there to accommodate new residents, there would be far less tension, he argues. The criticism is that developers build not to house people but to maximize proﬁts from investors, speculators and the wealthy. Metro Vancouver’s housing stats lend some credence to that view. In the past 20 years, the region averaged 1,411 market rentals and 421 social housing units. That compares to 16,489 houses, condos and the like for purchase. These pressures are coming to a head in Vancouver’s Chinatown district. Melody Ma spearheads a group called #SaveChinatownYVR that aims to fend off “predatory real estate developers and speculators,” according to its website. Unchecked development risks erasing Chinatown, and a signiﬁcant part of Vancouver’s history and culture, the group argues. Walking through the neighbourhood, Ma points out all the ways development has already altered the character of the area. Many of the newer residential buildings, in an attempt to blend in, feature red accents (“Red, China—get it?” she deadpans), while a large green lantern sits awkwardly atop another building. “That actually looks like a mosquito lantern to the rest of us,” she says. Such ersatz features ring hollow, she argues, while the buildings risk displacing long-time Chinatown residents, many of whom are low-income seniors. “This building is just a big block of gold,” Ma says of a rental complex on the eastern edge of Chinatown. The building’s gold trim seems to glitter in the sun. During construction last year, a ﬁrewall collapsed and damaged the small building next to it, which housed the Lee’s Benevolent Association of Canada, a clan association and social club. The group had to temporarily move out. Meanwhile, a 430-sq.-foot unit in the building, which is marketed with the slogan “Where Eastern culture meets Western living,” goes for $1,700 per month. Last year, Ma and other community groups vigorously fought a nine-storey condo. 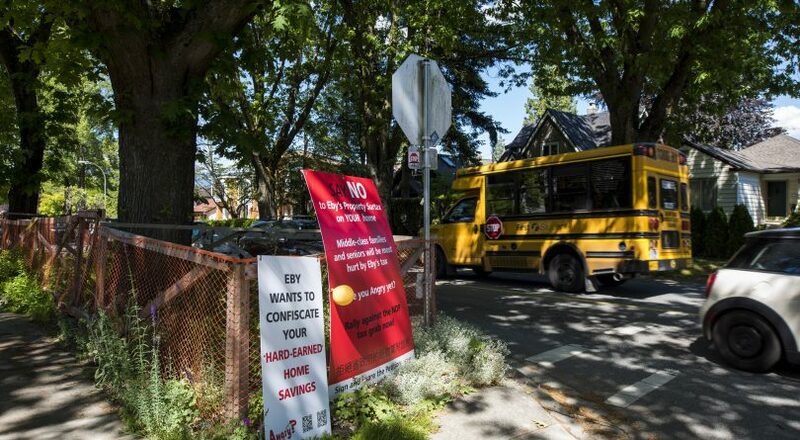 Vancouver’s permit board rejected the proposal, the ﬁrst in 11 years. The site is an empty lot surrounded by a chain-link fence today. Just down the street is a sleek showroom for another condo called Sparrow. She points to the scale model of the condo inside the showroom, which resembles a luxe boutique hotel. “Who is this really for?” she says. The question might be applied to all of Vancouver. 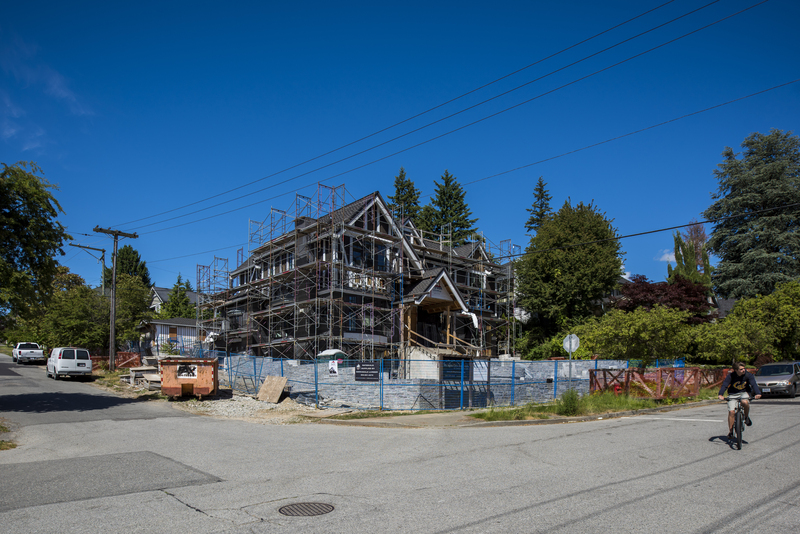 “We’ve had 16 years of a government that refused to do anything on the housing ﬁle, except build and build market housing,” says Andy Yan, director of the City Program at SFU, referring to the B.C. Liberals, now in opposition. Meeting at an east Vancouver café, Yan pulls out his laptop and opens a presentation he gave recently to an affordable-housing conference. 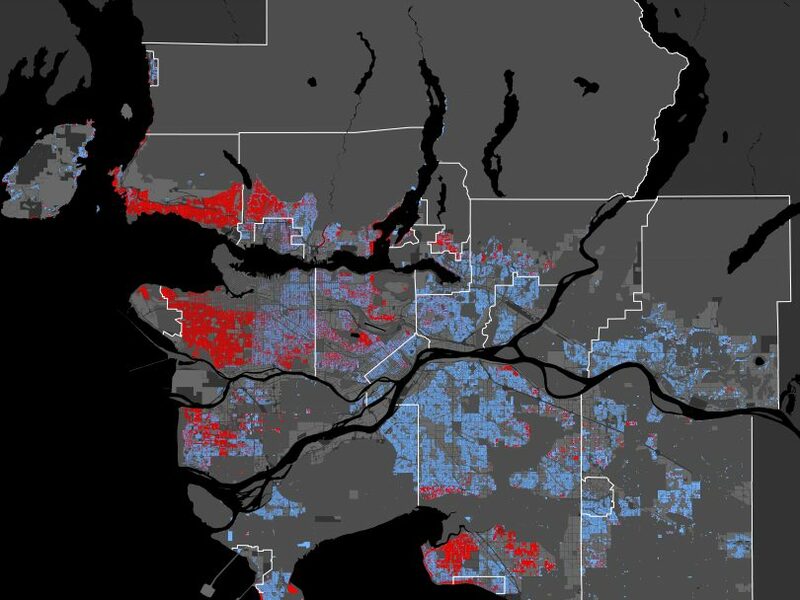 One slide shows the percentage of homes worth more than $1 million in Metro Vancouver. 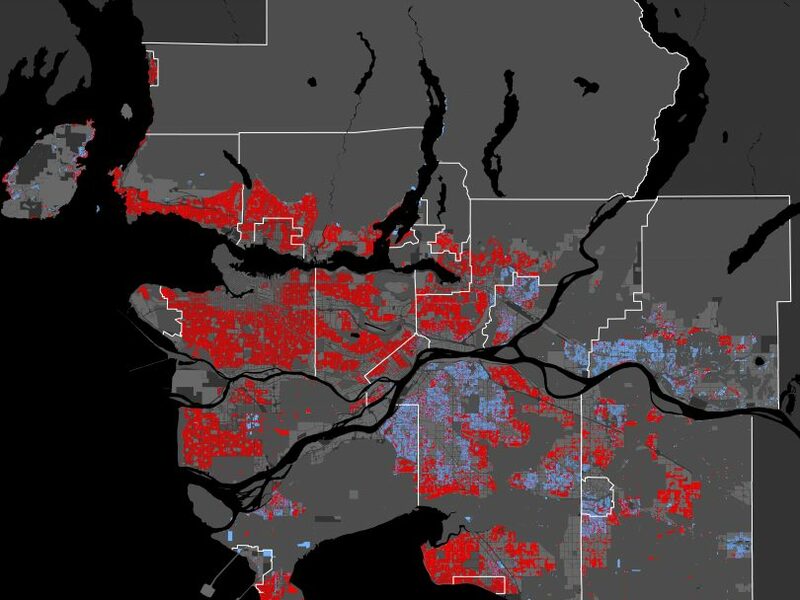 In 2014, the ﬁgure stood at 23 per cent, represented by a cluster of red mostly conﬁned to the west side. Yan flicks through each successive year, and more areas bloom bright red. As of this year, 73 per cent of single-family homes soared above $1 million. “We could have made certain circuit breakers, and we wouldn’t be in this mess,” he says. Yan knows how divisive conversations around Vancouver real estate can be. For years, he was amassing research showing the influential role of foreign capital, predominantly from the Asia-Paciﬁc region, and how the market detached from economic fundamentals and even our conception of what housing is for. Yan’s ﬁndings were met with skepticism at best. He was even accused of fuelling xenophobia. He likens the reaction to climate change denial. Why everyone should buy real estate in…Brantford?